Enjoy the comforts of home while away from home at this new boutique hotel. Feeling Home is located in an area of Phnom Penh that is fashionable with both local and expat socialites as well as tourists. When you stay in one of our 9 tastefully decorated rooms, you will have a conveniently located base from which to enjoy your visit to Phnom Penh. Feeling Home has everything you need to make your stay cozy and secure without having to leave the building. Free Wi-Fi Internet access throughout the hotel, cable TV in every bedroom and two dining venues allow you to stay put on the days when you just dont feel like leaving home. 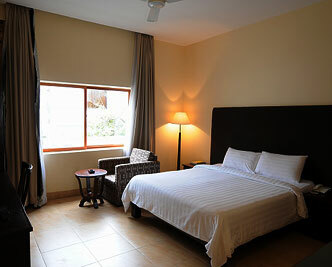 This price hotel accommodation, please Contact Us. Feeling Home in larger map.